Given that it’s one of the world’s oldest civilizations, it comes as no surprise that China is a photographer’s playground where it’s simply impossible to stop clicking. We head to this colossal country where shutterbugs are spoiled for choice with stupendous scenery; think ancient dynastic capitals, ribbon-like rice terraces, glorious gardens, spectacular mountains, illuminated palaces, and a rather famous wall. 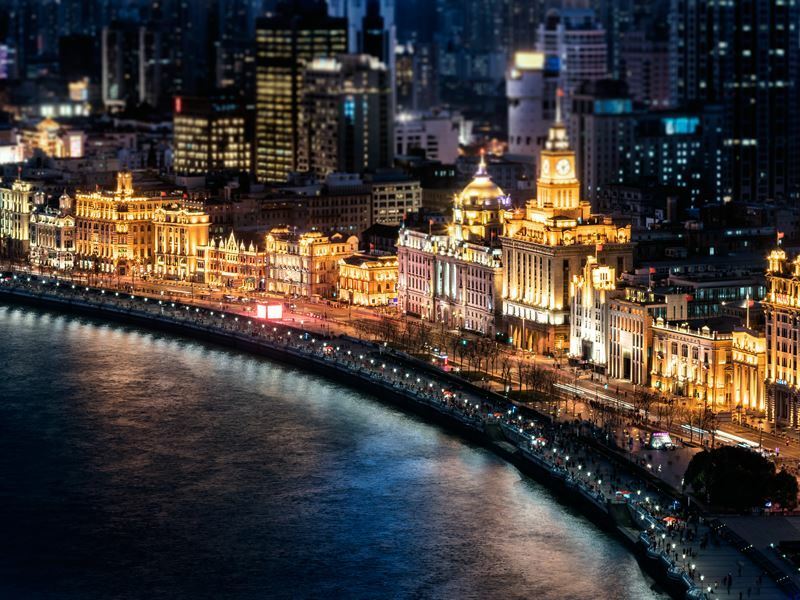 As Shanghai’s most standout landmark, the glittering Bund (once known as the Wall Street of Asia) is the sweeping curved boardwalk on the west bank of Huangpu River from the Waibaidu Bridge to Nanpu Bridge. Just under a mile in length, it is paved with 140,000-plus coloured bricks and granite blocks and lined with 52 grandiose buildings spanning every architectural style imaginable (Art Deco, Baroque, Beaux-Arts, Gothic, Neo-Classical, Renaissance, Romanesque). This funky fusion of East meets West (along with a slew of hip restaurants, trendy bars, and glossy boutiques) is what draws the photo-hungry to this historic and scenic waterfront - many of whom make a dash to one of the Pudong’s skyscrapers at dusk in the hope of shooting this neon-lit “living museum of colonial history” like a true pro. Get the shot: A cruise on the Huangpu River assures sweeping views of the iconic Bund and its stately buildings. The three-hour voyage to the mouth of the Yangzi River and back will reward with outstanding shots, but if the 50-minute waterfront journey between the suspension bridges (Yangpu Qiao in the north, Nanpu Qiao in the south) is also excellent if you're stuck for time. Unlike those found anywhere else on the planet, the Classical Gardens of Suzhou (nine of which have been designated UNESCO World Heritage Site status) are the celebrated horticultural masterpieces commissioned by emperors, aristocrats, and the super-rich of a bygone age in a bid to recreate China’s most dazzling landscapes in miniature. Cherished for their artistic elegance, exquisite craftsmanship, and rich cultural implications, the best of the bunch include Humble Administrator's Garden for its pavilions, bridges, and pools, Lingering Garden for its 700-metre-long corridor adorned with ancient calligraphy, and Master of Nets Garden for its intricate design and illusion of space (it’s actually the smallest of the lot). Equally photogenic is the delightful Couple’s Retreat Garden, a romantic classic surrounded by a canal on three sides. Get the shot: Adored by click-happy visitors for its curiously-shaped rock formations (designed to resemble lions), Lion Grove Garden was built in 1342 by Buddhist monk Tianru as a memorial to his master and teacher. Aim to arrive here early to maximise your time spent photographing the three unique parts: the Ancestral Temple, the Residential Houses, and the Courtyards. 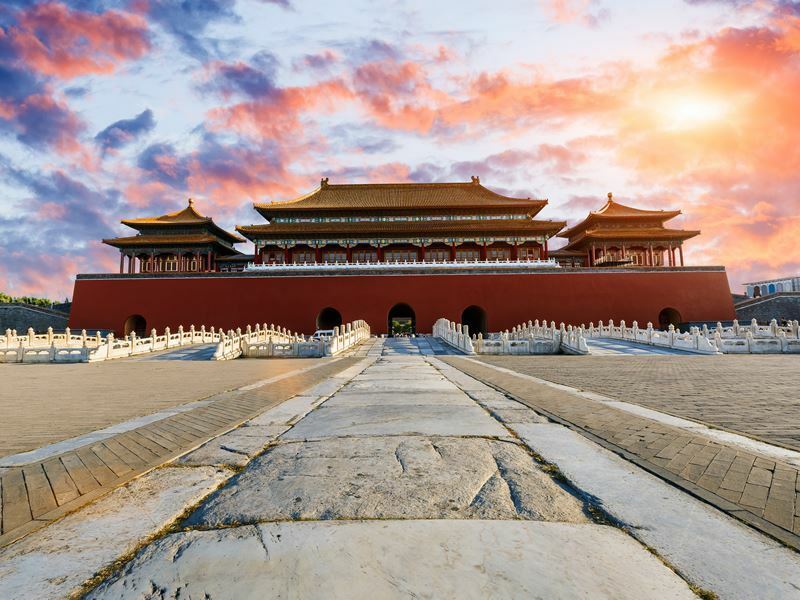 You’ll do well to see everything at Beijing’s Forbidden City, the best-preserved collection of ancient buildings in China - and the largest palace complex in the world. Declared a World Heritage Site by UNESCO in 1987 (it is listed as the Imperial Palace of the Ming and Qing Dynasties) this vermillion-walled superstar throws up plenty of photo ops; not least for its 800 buildings and 9999.5 rooms (according to legend, the only place allowed 10,000 rooms was heaven). Once you’ve grabbed the ubiquitous shot of the Hall of Supreme Harmony (the highest palace at 36.57-metres), be sure to visit the Hall of Jewellery, Treasure Gallery, Imperial Garden, Hall of Heavenly Purity, and Hall of Union and Peace. You’ll need at least three hours at this imperial abode before leaving via the South Gate, which leads you to Tiananmen Square. Get the shot: Jingshan Park promises panoramic Forbidden City views from the top of one of Beijing's very few hills (it rises to a height of 45.7-metres and takes 20 minutes to climb). Enter the park via the South Gate so that you’re bang opposite the palace complex’s Gate of Divine Might (there’s a tablet above the doorway here that reads The Palace Museum in Chinese). 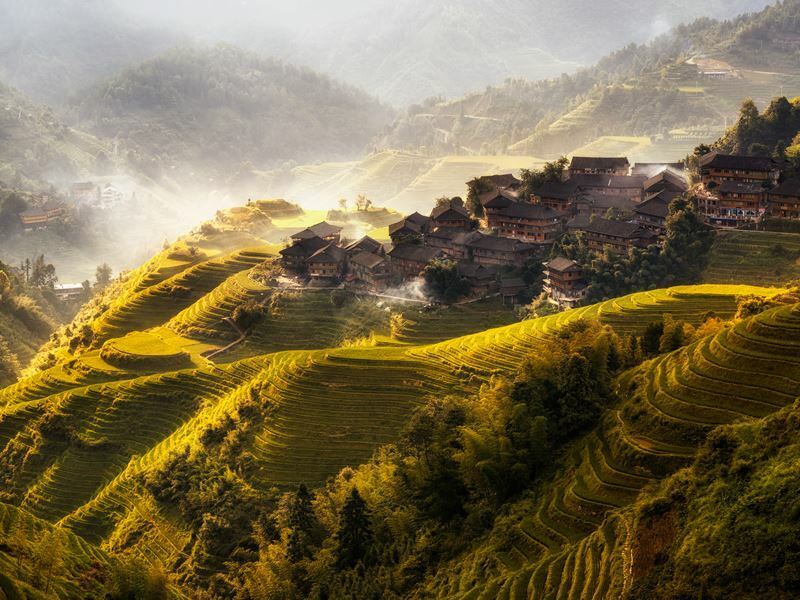 Guaranteed to impress the savviest of photographers, the Longji Rice Terraces (also known as the Dragon’s Backbone) rippling their way up to the summit of the mountain range is a monumental feat of farming engineering like nowhere else on the planet. Built mostly during the Yuan Dynasty (1271 to 1368) but continuing until the early Qing Dynasty (1644 to 1911) this otherworldly landscape of layer upon layer of ribbon-like rice terraces hung on the hillsides is priceless when it comes to picture ops. Arrange to visit here in February and March (sowing season), at the beginning of May (planting season), or between July to September (harvest season) when the paddies turn a shade of golden yellow. The area still flies under the tourism radar, so to get the most out of your experience it’s advisable to book a tour guide. Get the shot: The roads at this scenic spot are all paved stone paths and the only way to travel is by legging it up the 2,886-metre-high peak (it takes just 30 minutes). Also factor in a visit to one of the three main villages (Jinkeng Red Yao, Ping'an Zhuang, and Longji Ancient Zhuang) to meet the Zhuang and Yao people whose families have cultivated this land for generations. 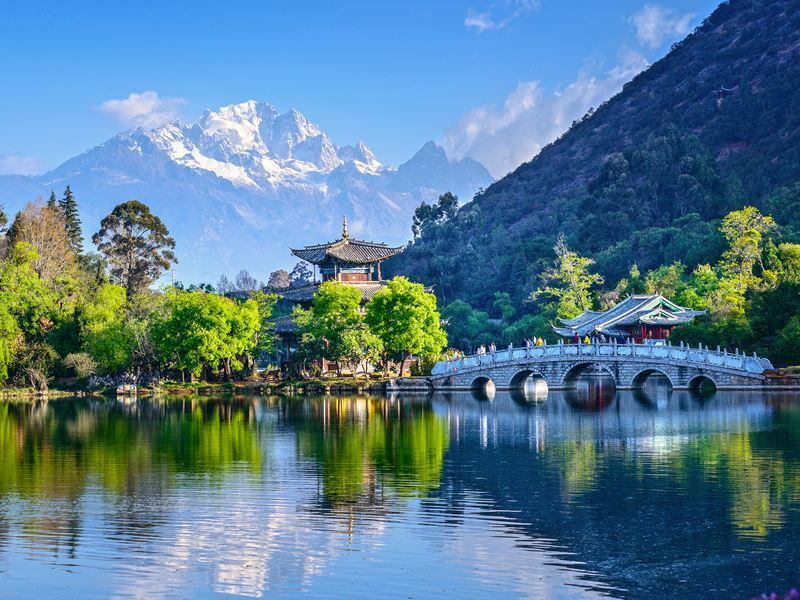 Few visiting the city of Lijiang will leave without stopping at Black Dragon Pool Park, the famous pond at the foot of Elephant Hill in the scenic Jade Spring Park. Known locally as the Temple of the Dragon King for the black dragon who many believe still lives in these waters, it was built by the Naxi people in the second year of Emperor Qian Long's reign (1737) - and rebuilt multiple times over the centuries. Magical waters aside, there’s also some great ancient buildings worth photographing, including the Longquan Temple (Dragon Spring Temple), Black Dragon Palace, Moon-Embracing Pavilion, Five-Phoenix Tower, and Suocui Bridge. Also worth a visit is the Museum of Naxi Dongba Culture at the park’s northern entrance. Here you’ll find 12,000-plus historic relics that will give you an insight into the Dongba culture of the Naxi people. Get the shot: Declared a Water Conservation Area in 2010, Black Dragon Pool Park is divided into two parts by a white marble bridge (interestingly, in spite of the water being connected, the sides are different colours and the fish on either side refuse to swim to the opposite pool). Aim to capture both sections as well as the wonderful reflection of the region's tallest mountain, Jade Dragon Snow Mountain (so-named for resembling a jade dragon lying in the clouds). 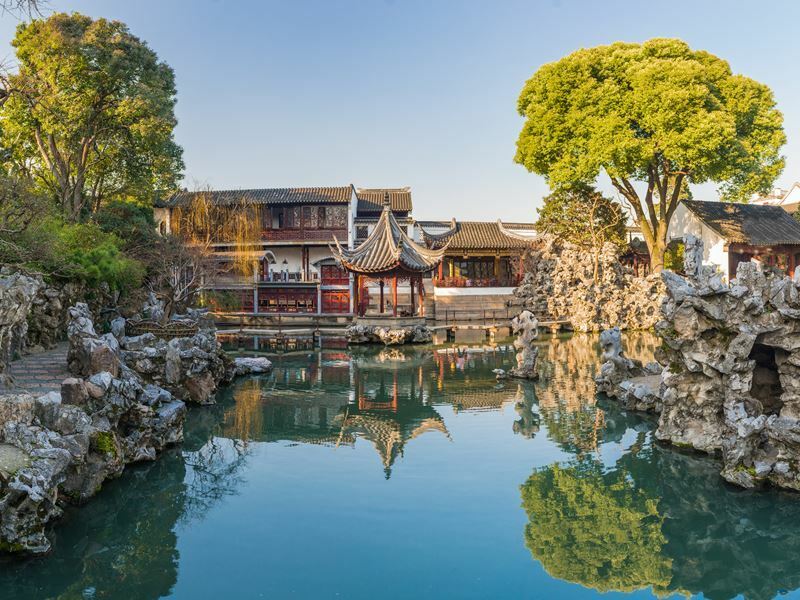 Built between 1749 and 1764 as a summer playground for the imperial families of the Qing Dynasty, this masterpiece of Chinese landscape garden design merits sending your camera into overdrive. Occupying a total area of 290 hectares (three quarters of which is made up of shallow lakes) this UNESCO-listed wonder (known locally as Yiheyuan, meaning Garden of Restful Peace) is the largest and best-preserved garden in all of China - with every pavilion, terrace, temple, pagoda, waterside gazebo, and stone bridge more fabulous than the last. 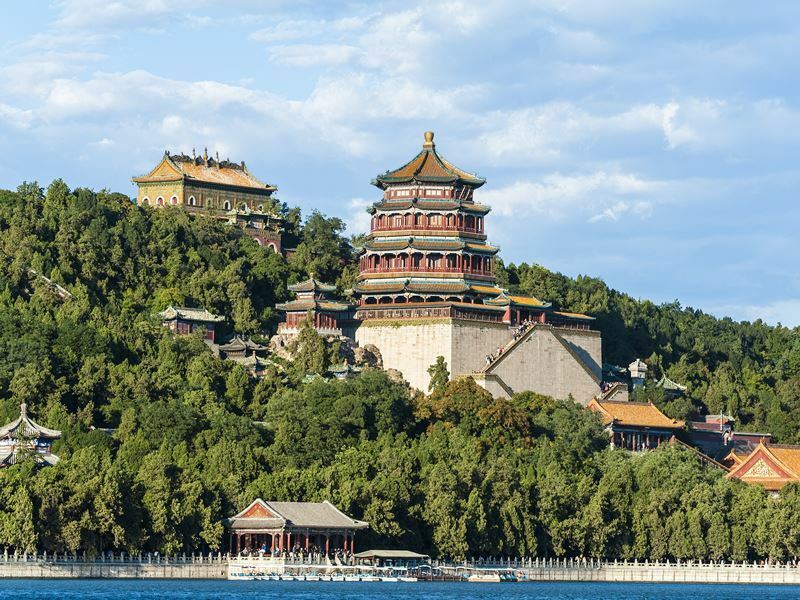 Must-sees include the opulent Hall of Benevolence and Longevity, the decorative 728-metre Long Corridor, and the impressive 36-metre long Marble Boat - a lakeside pavilion built entirely in white stone in 1755 during the reign of Emperor Qianlong (it was restored by the Empress Dowager in 1888). Get the shot: Those visiting around the winter solstice can join the hordes of tourists hoping to catch sight of the setting sun shining through the ornamental Seventeen-Arch Bridge over Kunming Lake (this lasts for 20 minutes each day, usually at around 4pm). Alternatively, stand on the ancient bridge itself at any time of year for dramatic vistas across the city’s eastern shore. Far more sophisticated than you’d imagine (especially given that it’s 2,200-years-old), the 8,000-plus life-size models of soldiers collectively known as the Terracotta Warriors of Xian were constructed to guard the tomb of Qin Shi Huang - China's first emperor who died in 210BC after conquering six warring states to create the country’s first unified nation. Inadvertently excavated by farmers digging a well in 1974, this Eight Wonder of the World stands as one of the world’s most exciting archaeological sites; not least for its three pits that also hold sculptures of 130 chariots, 520 horses, and 150 cavalry horses. 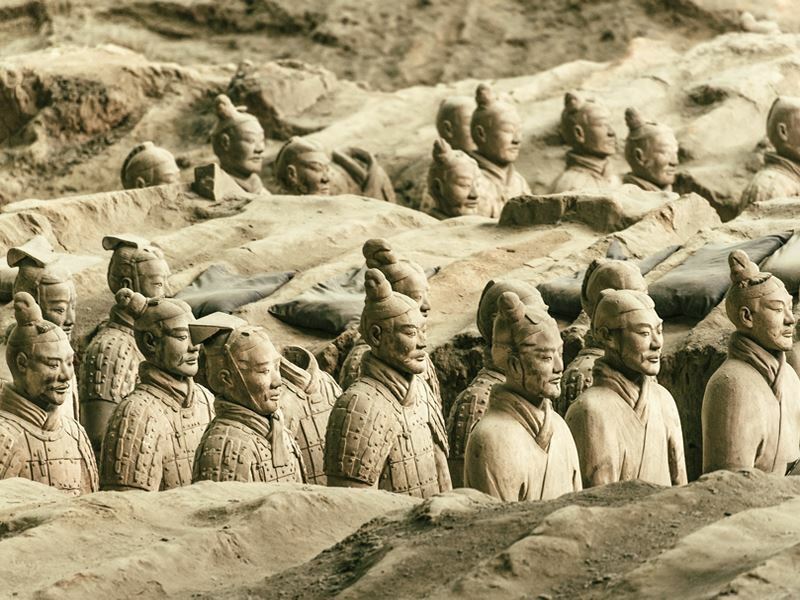 Amazingly, no two figures are alike and every single warrior has unique facial features that were painstakingly sculpted by a team of 7,000 ancient craftsmen who worked around the clock for 40 years to build this mausoleum. Get the shot: Around the size of two football pitches, the Qin Shi Huang Terracotta Warriors and Horses Museum was officially inaugurated and opened to the public in 1979. Photography is prohibited here, but Pit Number 3 has a special painted wall depicting the vivid terracotta warriors where you may take photos using your own cameras (a fee applies). 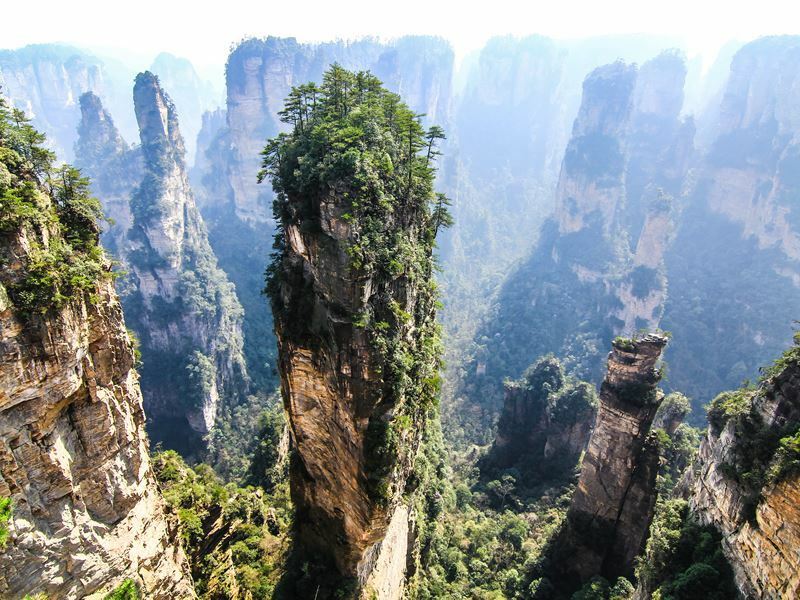 One of the star attractions of the UNESCO-listed Wulingyuan Scenic & Historic Interest Area, the mist-shrouded Tianzi Mountains is a 2,000-strong collection of surreal quartz sandstone peaks towering over dense forests. Covering an area of 16,550 acres (the highest peak is 1,262-metres above sea level), this curious-looking place was named after Xiang Dakun - chieftain of the Tujia ethnic group who launched an uprising against the ruling dynasty in 1353 and proclaimed himself Tianz (meaning Son of Heaven). For the best views, hike along the nature-rich mountain trails to see four different seasons in one day (Cloud Billows, Moon Brightness, Sun Glow, and Winter Snow) - or take the 2,084-metre cable car ride to the peak and enjoy the outstanding scenery on the way up (the ride takes around seven minutes). Get the shot: There’s 84 natural platforms as well as six designated viewing areas, so capturing this Avatar-like landscape on camera is easily done. You’ll get the best shots in springtime when the flowers are in full bloom and the mountains are luxuriantly green (the area is generally less accessible in winter, even though the snow-topped peaks are at their most dazzling). Mutianyu for its unique watchtowers and fortresses, Jinshanling for its popular Great Wall hiking route, Jiankou for its broken wildness and perilous steepness, and Simatai for its night tours. 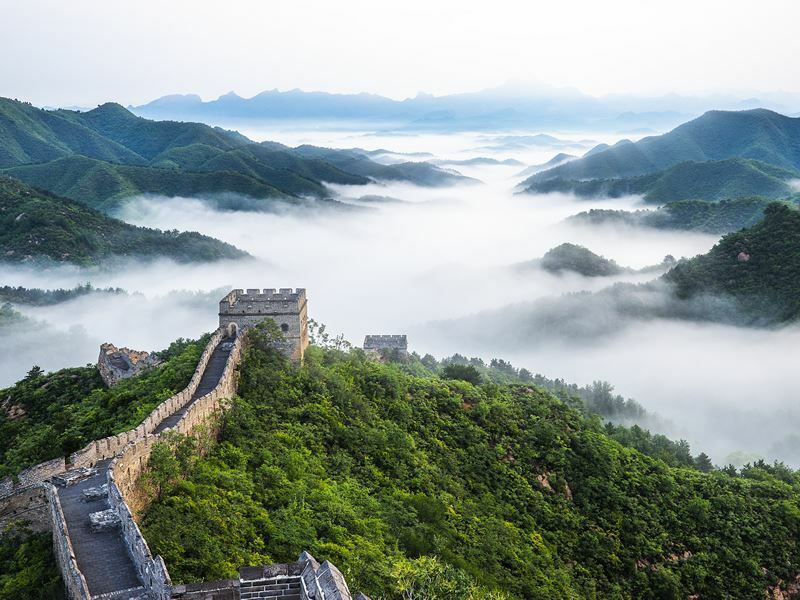 Get the shot: Around 40 miles northwest of Beijing, the heavily-restored Badaling section is the wall’s most-visited. Open to the public since 1957, it’s a relatively easily climb given that most stairs are not very steep and you have the luxury of handrails. The total length of this section is 7.5 miles, of which only 2.3 miles and 19 watchtowers are accessible to visitors. 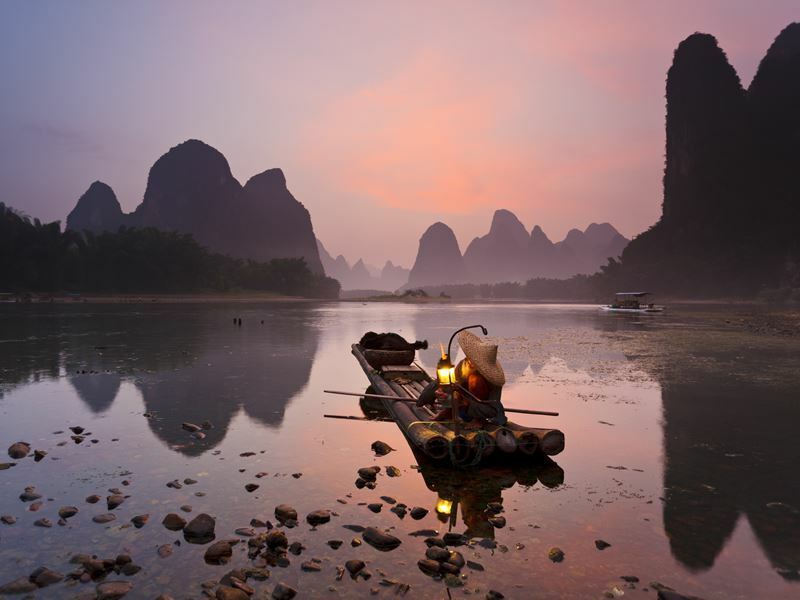 Ranking as one of National Geographic’s Top 10 Watery Wonders, the 52-mile-long Li River (the body of water in the Guangxi region that connects Guìlín and Yangshuo) offers up views of rolling hills, steep cliffs, fantastic caves, bamboo rafts, and a fairytale-like landscape of karst peaks that have inspired writers and artists for centuries. 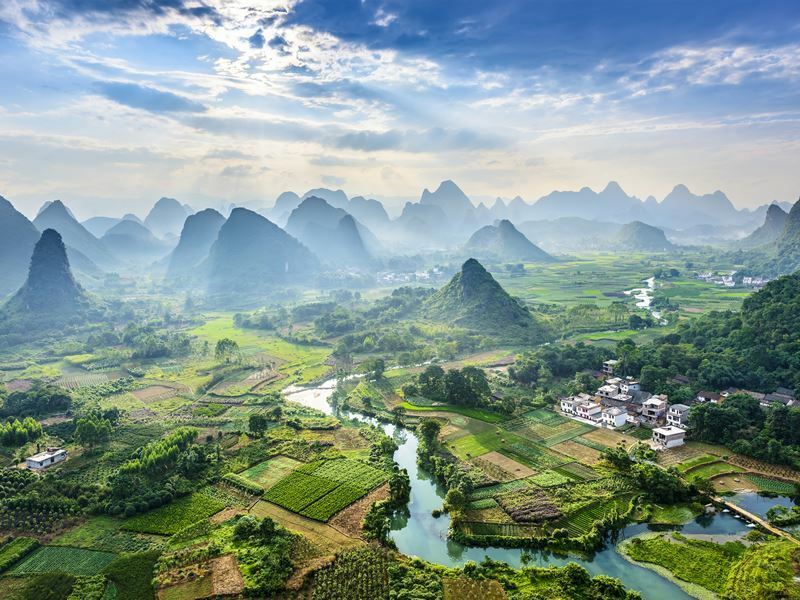 A river cruise is the best method of travel here, especially for close-up shots of conical limestone mountains so famous that they feature on the on the reverse side of the 20 Yuan note. Not-to-be-missed highlights along the way include Elephant Trunk Hill which rises 55-metres above the water’s surface and occupies an area of 11.8-hectare at the confluence point of Li River and Taohua River, and Fubo Hill (also known as the Wonderland on Wave) which has its foot half in water and half on land. Get the shot: There are plenty of Li River cruises departing from Zhujiang Wharf, around 30 minutes drive from downtown Guilin (most start around 9am and last for approximately four or five hours). Each season brings something different, and while the light is exceptional in summer, nothing is as poetic as the karst peaks on a cold and misty winter’s day.